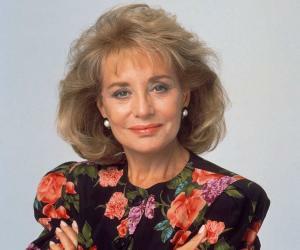 Barbara Walters is a broadcast journalist and television personality counted among the "50 Greatest TV Stars of All Time." This biography of Barbara Walters provides detailed information about her childhood, life, achievements, works & timeline. Barbara Jill Walters is a television personality and broadcast journalist who first became famous as the segment producer of women’s interest stories on the NBC News program ‘The Today Show’. Highly acclaimed for her exceptional interviewing ability and journalistic standards, she was the first woman ever to acquire the title ‘co-host’ for any news program. She was very popular with the viewers because of which she was allotted more air time by the channel. An ambitious woman who became a role model for other female journalists to follow, she became the first female co-anchor of any network evening news when she worked with Harry Reasoner on the ‘ABC Evening News’. Since then she has hosted several morning television shows like ‘Today’ and ‘The View’. For 25 years she worked as the co-host and producer of the newsmagazine ‘20/20’ from 1979 to 2004. She is noted for her candid, no nonsense style of speaking and is known to never mince words even when speaking about sensitive issues. 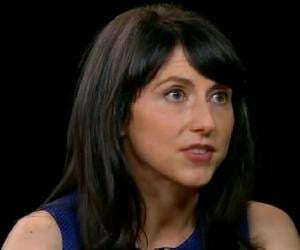 Her field of specialty is personality journalism and she has had the distinction of interviewing several world leaders including the Shah of Iran, Russia’s Boris Yeltsin, China’s Jiang Semin, Libya’s Muammar al-Gaddafi and India’s Indira Gandhi. She was born to Jewish parents Dena and Louis Walters in Boston. Her father worked as a Broadway producer and was also the Entertainment Director for the Tropicana Resort and Casino. Because of her father’s profession she grew up in close proximity to celebrities, thus she was never in awe of them. She attended Lawrence School in Brookline. Her family later moved to New York City where she attended high school at Birch Wathen School and graduated in 1947. She enrolled at Sarah Lawrence College from where she earned her B.A. in English. After college she moved to New York City to look for work. She worked for a year at a small advertising agency before bagging a job at the NBC network affiliate in New York City, WNBT-TV. In 1953, she produced a 15- minute children’s program, ‘Ask the Camera’ which was directed by Roone Arledge. In 1955 she became a writer of ‘The Morning Show’ at CBS. She joined Tex McCrary Inc. as a publicist and then worked for a few years as a writer at the ‘Redbook’ magazine. She joined NBC’s ‘The Today Show’ as a writer and researcher in 1961 and soon became the show’s regular ‘Today Girl’. During those times women were given only lighter assignments like the weather to report. In defying the traditions of that era, she began developing and writing her own reports and interviews. She became the first female co-host of ‘The Today Show’ in 1974. She was teamed up with Harry Reasoner as a co-anchor on the ‘ABC Evening News in 1976-78. However, the two had a very difficult working relationship as Reasoner did not like having a female co-anchor. While working with ABC she had served as a commentator on news specials like presidential inaugurations and as moderator between candidates Jimmy Carter and Gerald Ford during the 1976 Presidential Elections. She is best known for her personality journalism and her interviewing skills. She conducted a joint interview of Egypt’s President Anwar Al Sadat, and Israel’s Prime Minister, Menachem Begin in November 1977. She joined the ABC newsmagazine ’20/20’ in 1979 and became a regular special contributor by 1981. She worked together with Hugh Downs for years and had a great working relationship with him. Over her long and productive career she interviewed leaders from all over the world including U.K’s Margaret Thatcher, Cuba’s Fidel Castro, Russia’s Boris Yeltsin and Venezuelan President, Hugo Chavez. She has also interviewed celebrity icons like Michael Jackson, Sir Laurence Olivier and Katharine Hepburn. She along with Bill Geddie conceived the idea for the talk show ‘The View’ that has aired on ABC since August 1997. The show has run for 17 seasons and has a panel of five female co-hosts who discuss a variety of social and political issues. She took semi-retirement in 2004. She no longer worked as a broadcast journalist but continued as a correspondent for ABC News as well as a host of ABC’s special programs. 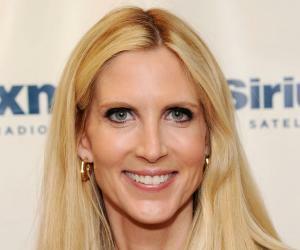 She also continued to co-host ‘The View’. She has announced that she will retire fully in May 2014. She worked as the co-host and producer of the television newsmagazine ‘20/20’ for 25 years from 1979 till 2004. The program follows a format similar to CBS’s ’60 Minutes’ but focuses more on human interest stories rather than on political issues. She is the recipient of several Daytime Emmy Awards, her first win being the Award for Outstanding Talk Show Host (Today) in 1975. She won the Lucy Award in recognition of her excellence and innovation in her creative works that have enhanced the perception of women through the medium of television in 1998. She was first married to a business executive Robert Henry Katz in 1955. The marriage was very short lived. She married Lee Guber, a theatrical producer and theater owner in 1963. They adopted one daughter and divorced in 1976. 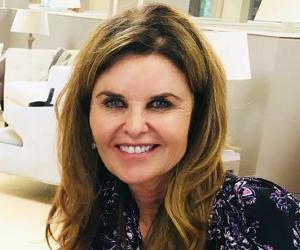 Her third marriage was to Merv Adelson, the CEO of Lorimar television in 1981. They divorced in 1984 only to remarry in 1986. They again divorced in 1992.